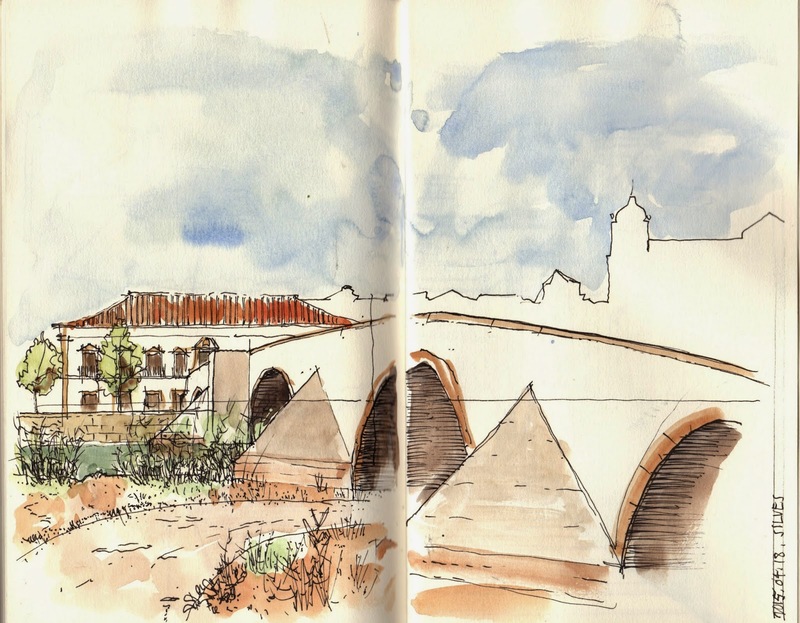 76th USkPortugal meeting was in Silves, ancient capital of Algarve, the southern portuguese province. I made the first sketch of the day near the so called "roman bridge". In april all the surrounding orange trees are flowering and the town smells wonderfully. It was a great day and in the evening we had great f talk around our sketchbooks.